From Star Wars of the 70s to the War For The Planet Of The Apes lined up for release in July this year, we have come a long way in terms of the advancement of the visual effects technology or VFX as it is commonly referred to as. Special effects have helped to not only project and realize the dreams of a million viewers on the silver screen but also breathe life into the limitless fantastical imagination of our filmmakers across generations. So where did it all begin? Some of the earliest evidence of VFX being used in filmmaking can be traced back to the early 1900s wherein our cinema consisting primary of animated films that featured characters from the most popular comic strips of the era. Released back in 1937, the Snow White and the Seven Dwarfs by Walt Disney was the first-ever full-length animated film created by using the single frame method. Another technique that was commonly used for incorporating special effects in movies in that era was called the stop motion photography. The movie King Kong, first released in 1933, remains as one of the finest examples of this VFX technique widely used in those times. The use of hand-drawn sketches in the single frame and stop motion technologies soon gave way to the more advanced technique of strategic camerawork for manipulating miniature models of movie sets, such as those used in the iconic Star Wars and Star Trek franchises. And then came one of the most glorious milestones in the world of VFX, the Superman (1978) that took filmmaking to another level by using a blue screen, cables, and smart camerawork to create a flying superhero that left the audience awe-struck. With the onset of the 90s decade, Hollywood had largely progressed to the use of computer-aided graphics or CGI effects such as those seen in Terminator and Jurassic Park. With the advent of the CGI technology, it was now possible to create life-like imagery that exponentially enhanced the audio-visual experience of the viewers. Some of the most iconic movies that incorporated groundbreaking visual effects in the last few decades include The Matrix, Lord of the Rings, Avatar, and Gravity. The power of VFX helps to transform the simplest of ideas into monumental, larger-than-life productions that inevitably leave a lasting impression on the audience. 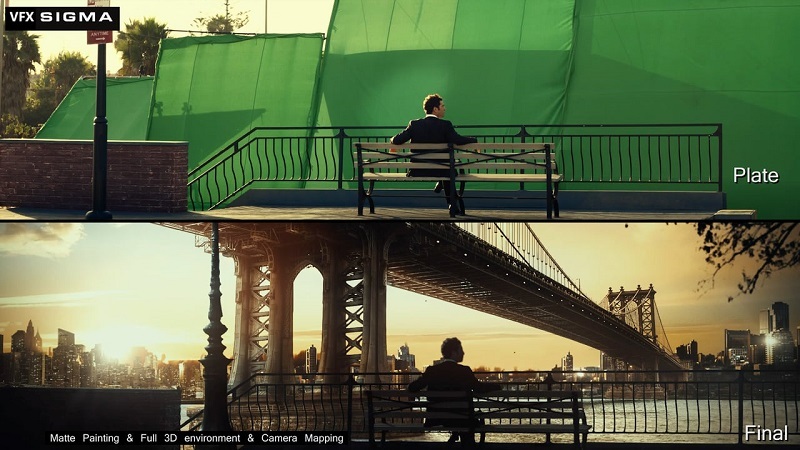 Hollywood has heavily progressed in terms of creating realistic visual effects in its movies.